In and around Thanjavur are The Great Living Chola Temples. Three temple complexes dating back to the 11th and 12th centuries. Built by the Cholas, who were undoubtedly one of the most powerful monarchies of South India that ruled for over four and a half centuries, all of these ancient temples are ‘living temples’ – classified as such by UNESCO on their World Heritage List – in the sense that the pattern of worship and rituals established over a thousand years ago continue as is, to this day. Thanjavur, mostly known for the Tanjore (Thanjavur) Paintings that are unique to this region, is home to the first of these Great Living Chola Temples. Locally known as the Big Temple, this is the Brihadeeswara Temple in Thanjavur. The grandest of the three. As the region passed on from the Cholas to the Nayaks and then to the Marathas over the centuries, a few additions were made to the temple complex, from protective fort walls to murals and minor temples. One such are the beautiful frescos painted onto the ceiling of the Mandapam housing the massive 25 tonne monolithic Nandi, mount of Lord Shiva or Brihadeeswara, as he is in this temple. & this particular mural is undoubtedly reminiscent of the famous Tanjore Paintings, all it needs is a little touch of gold! Everything about this temple is big. The 20 feet Nandi, the 15 feet Dwarapalakas guarding the entrances, the 216 feet Vimana towering over the Sanctum Sanctorum that has to be two storeyed to house the huge Shiva Lingam (lingam form of the presiding deity). The Vimana built over a base tier of two levels rises to dizzying heights, carrying on it an octagonal stone Shikhara which itself weighs 81 tonnes. Ancient inscriptions refer to this Vimana as Dakshina Meru, implying it to be Mount Meru of the South or Maha Meru, Lord Shiva’s mountain abode. It is said that a special ramp was constructed to carry the Shikhara up, to install on the Vimana, from a site six kilometres away and that more than a thousand elephants were required in the construction of this temple. Which is probably one of most the magnificent of Indian temples. In fact, the city of Thanjavur itself was created with the deliberate intention of establishing it as a Bhakti centre. So, here is this impressively massive Big Temple at its heart and radiating out from it is the city, growing in concentric circuits starting from the inner quadrangle of the temple. A colonnade of sandstone columns run all along the inner perimeter of the temple forming a circumambulatory path or Prakara. 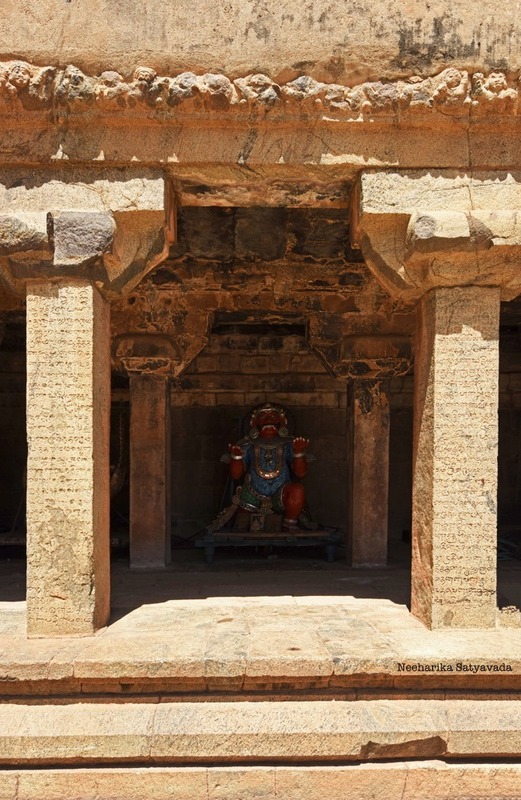 Though the Prakara itself dates back to the original construction, the 108 Shiva Lingas set against the stunning backdrop of beautiful murals painted on these stone walls are a 16th century addition. The main temple itself occupies the rear half of the inner quadrangle, while two colossal Gopurams (gates) – Keralaanthagan & Rajarajan – into which are carved monolithic stone sculptures, lead the way. Exemplifying the pure Dravidian style of architecture, these Chola Temples are significant not just archaeologically but culturally as well. For it is believed that the Cholas built their temples not just as places for their people to get together and pray but to serve as epicentres of economic activity. No trip to Thanjavur would be complete without witnessing these marvels of workmanship. The sheer size of these temples will cause you to wonder and muse on the scale at which affairs of the state were once carried out! The other two temples which together with the Big Temple form this unique group of living temples are the Brihadeeswara Temple at Gangaikonda Cholapuram and the Airavateswara Temple at Darasuram. Getting There: Begin your day trip with the Brihadeeswara Temple in Thanjavur, drive on to the Airavateswara Temple, Darasuram, making a quick pitstop for lunch along the way on this 37 Kilometres stretch. Complete the circuit with the Brihadeeswara Temple, Gangaikonda Cholapuram. The 72 Kilometres drive from here, back to Thanjavur will take around 2 hours. PS: Here is a super shaky video of a few of the brilliant murals in the Prakara. Decided to add this here to the post, inspite of it being such a terrible attempt at shooting video because, I do want to share with you atleast a glimpse of the natural dye frescos that are such a fine example of ancient Indian artistry.